What really needs to be said about Tetris? Inarguably it is one of the most seminal games out there. It may not be the most important game ever made, that might still be Pong. Although, Tetris is easily in the top 5 alongside Super Mario Bros., The Legend of Zelda, and Doom. So here we are with a new iteration of Tetris and it is superb. 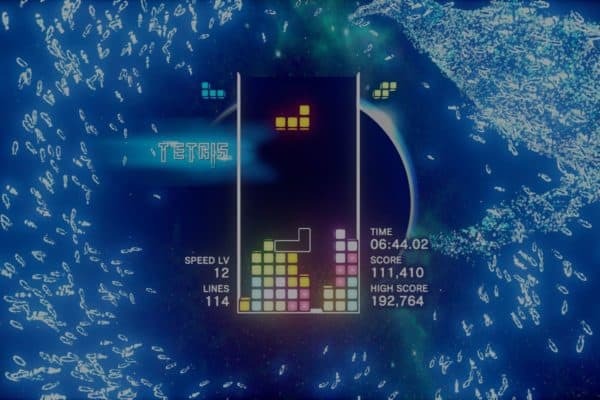 Tetris Effect is headed up by Tetsuya Mizuguchi, noted producer of Rez, Lumines, Space Channel 5 and Child of Eden. 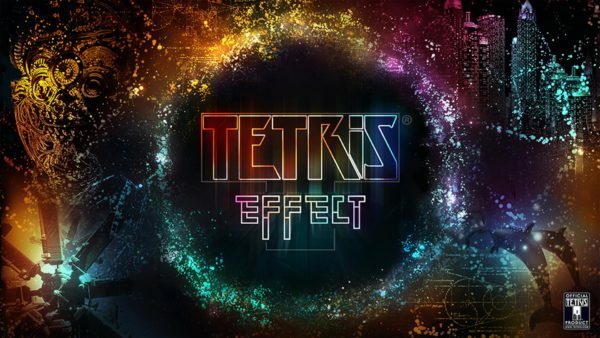 To say that there is a musical slant to Tetris Effect is an understatement. Mizuguchi also heads up the electronic band Genki Rockets. So, his music is really infused within Tetris Effect. 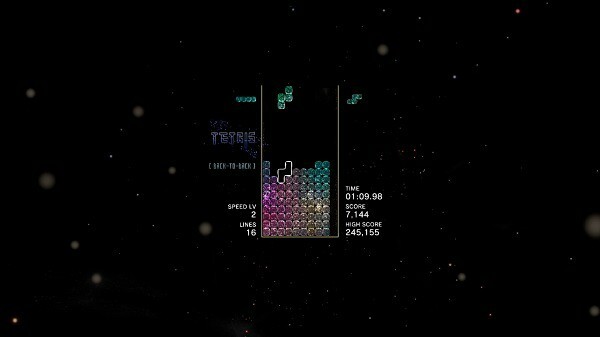 At its core, Tetris Effect is like most other Tetris games out there. You have the seven shapes (tetrominoes) and arrange them to clear out lines on your board. Some Tetris improvements over the years like the Hold and T-spin are here as well. Hold lets you hold a single piece in reserve and swap it out with another piece and the T-Spin lets you spin the T-shape piece into gaps it normally isn’t supposed to go, at least if you’re experience is the old 1989 Gameboy version of Tetris. 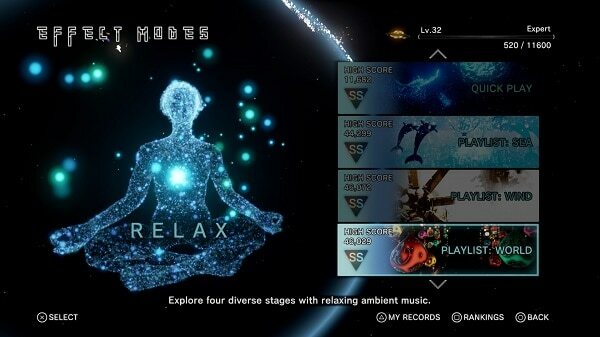 There are two main modes in Tetris Effect: Journey and Effect. Journey is the story mode of Tetris Effect. The mode has stages linked together in a set pattern. Once you clear out 30 lines (on easy, 36 on normal or 48 on hard), you transition fairly seamlessly to the new level in the chain. You have to complete all three to move on, but if you fail out of one, you can replay it from the level select screen. The different difficulty modes also start you off at different game speeds too. The Journey mode is fine. It’s not incredibly deep or anything but does present most of the stages and concepts in a pleasing enough manner. Zone is also present within Journey. As you play the game, the zone meter fills up when you do well. Once you use it, the game massively slows down and any line you clear gets added to the bottom of the field. The more lines you clear, the higher your bonus becomes and the higher Itris you can do. Up to 20 lines can be cleared, which is really cool. The mode ends when you either turn it off, run out of time, or if your pieces reach the top, in which case all the cleared lines are removed from the board. Zone is a neat idea that doesn’t work too well. The reason why it doesn’t work is that it isn’t tied to actually clearing lines from the stage goals. Let’s say you have to clear out 36 lines and you use the Zone thing and manage to clear 17 lines. Guess how many you’re left to clear when the game turns back to normal? All 36 lines. It’s only really tied to getting a big score or saving you in a dire situation and is only active in the Journey mode, so it doesn’t even pop up in other parts of the game. Marathon – Clear 150 lines and try to get a high score. Ultra – Clear as many lines within a 3 minute time limit. Sprint – Clear 40 lines as fast as you can. Master – Pieces drop immediately, so the goal here is to survive as long as you can. Chill Marathon – Clear 150 lines but you can’t get a Game Over. Quick Play – Pick a stage and there isn’t a Game Over. Playlist: Sea (or Wind, or World) – Play four thematically linked stages in a row. All Clear – You are given Tetris “puzzles” to solve and the goal is to clear the board as quick as possible, which adds time back to the countdown limit. Combo – The goal is to create as many line combos as you can. Once you clear one line, you have to keep clearing lines to keep the combo going. Target – There are special blocks in the field you have to clear out. Once a block is completed the board clears itself away and a new Target block is added. Countdown – Periodically, an “I” Tetris piece falls from the sky and can clear out lines for you. If lines are cleared out this way, you’ll gain more points than normal. Purify – Certain Tetris blocks are “infected” and have to be cleared out. Clearing out a line will cause one Dark block to vanish while clearing out lines with the Dark blocks in them causes a bigger reaction. And finally Mystery – This mode has you clearing out 150 lines but with the twist of status effects changing the board. The game may suddenly speed up or different 3-piece shapes may fall, or the board is inverted 180 degrees and so on. Not every effect is negative, some may cause double points for a short time or reset the speed of the level, but most are trying to screw with you in some way. As you can tell, some of the Effect Modes are highly strange. Marathon/Ultra/Sprint are bog-standard for any recent Tetris game, but modes like Combo or Countdown are fairly odd and require a drastically different way of thinking about Tetris. Have fun trying to get anything higher than a C rank in the Master mode. The real push and pull with the different modes is trying to get a high score and a high grade. Most (if not all) modes can get up to a rank of SS so the real motivator is trying to get as good as you can. You can also compare your scores/rank against a worldwide leaderboard or against your friend’s leaderboards. The biggest hook with the game, aside from it being another competent version of Tetris on the PS4 (aside from Puyo Puyo Tetris) is the audio and visuals. It is hard to dress up a game, from a graphical standpoint, as simple as Tetris. 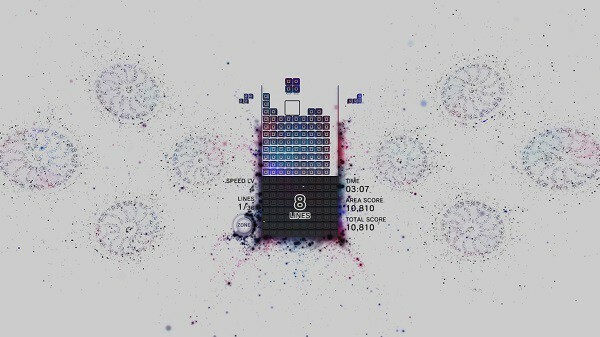 However, Tetris Effect does the job well with backgrounds that change and are detailed. Along with effects that sync up to the music and tell you how well you’re doing. Musically, the game might not be everyone’s cup of tea but I really enjoyed it. So much so, I found a Youtube version of the entire soundtrack to download because I wanted to keep certain songs with me. The soundtrack is very electronica focused with some tracks having a tribal or jazz bent which does provide some different songs. Honestly, the only real problem with Tetris Effect is the lack of multiplayer. I could conceivably understand why Enhance Games might not include online multiplayer. Especially since this game was developed with (probably) a small team and having to devote resources for network play might not be the right call. But, there’s no local multiplayer either, or even any co-op, which is a huge drag. 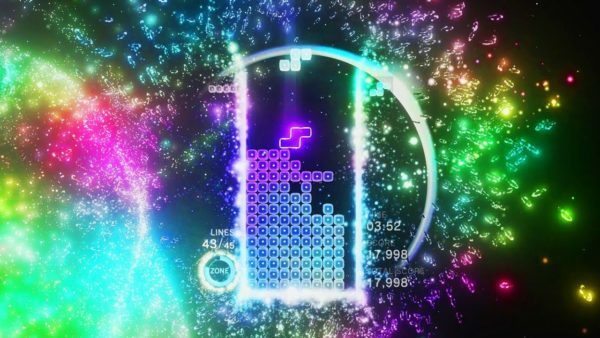 A representative for Enhance Games says that they wanted Tetris Effect to be a chill experience for players and that it’s meant to be a positive experience where you can see your friends play. Except you can’t? Or at least I haven’t stumbled on a way to do so. I guess you could watch the game from the system menu of a friend, or watch your friend play if they come over to your place, but that’s fairly unintuitive. It’s not like I could see a friend of mine playing and instantly just watch his or her screen from afar. More than that though, Tetris is always a competitive game. If you’re not playing against another player, you are playing against the computer or even yourself. Also, as I said before, not every Tetris mode need be competitive, I could come up with at least four or five cooperative variations of Tetris that could be enjoyed with friends. Lastly, I’ll mention the avatar/event system. When you go into the Effect Modes part, you’re tasked with picking an in-game avatar for yourself. 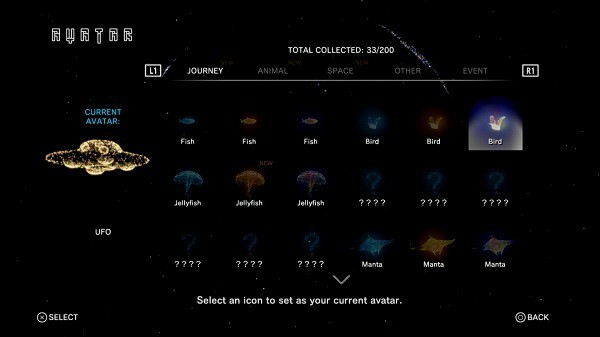 These include categories of “journey”, “animal” “space” and a few others. There are also different rarity tiers for avatars starting with blue, then gold, then rainbow (the rarest). 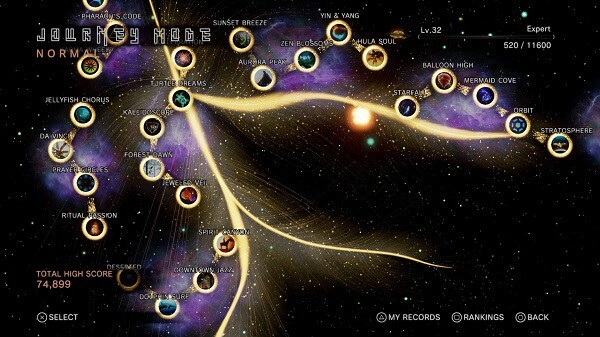 You can unlock avatars by playing the Journey mode, leveling up your profile, and through weekend events. The events give you a few levels for you to play through in a community-style thing where if the goal is reached, everyone can unlock an avatar. However, just playing some game types consistently unlock avatars for you, so it can be somewhat easy to get them. Overall Score: 9.0 out of 10. From the moment I saw Tetris Effect, I knew this game would be great and It didn’t really disappoint. While not having multiplayer is a bit of a bummer. There is more than enough here to keep a player satisfied. Honestly, the soundtrack alone is worth the price of admission, and the fact you’re getting a great Tetris game on top of it, only makes it better. This game was reviewed using a digital code provided by the publisher (Ehance Games). The PSVR mode was not tested for this review.